Want chocolate and coconut while still getting your fiber? 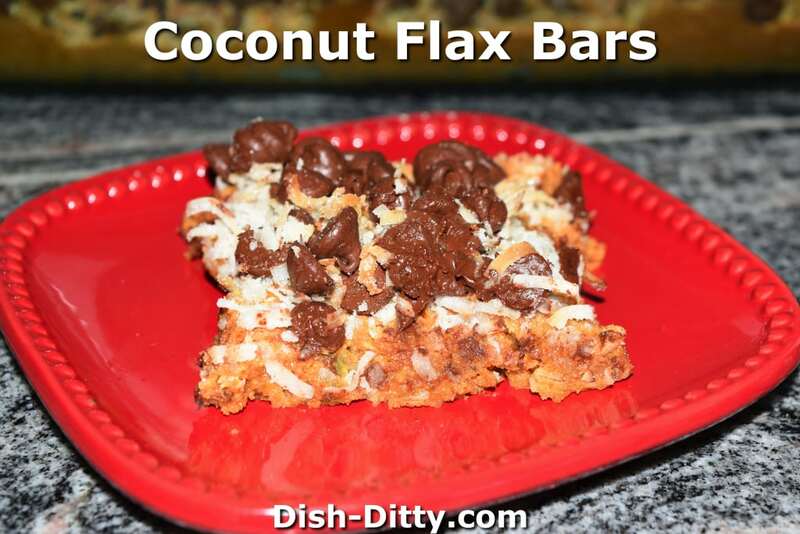 These Coconut Flax Bars satisfy both those needs. I created these one day when trying to get my son to have more fiber. They taste great and are a nice treat. He loved them. I loved them. It was a winner! In a bowl, add the butter and sweetened condensed milk. Place in microwave on 70% power for 30 seconds. Stir. Repeat until the butter is melted. 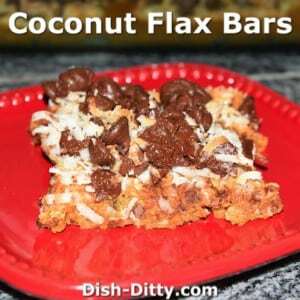 In a large bowl, combine the graham crackers, flax, and granola. Pour the butter mixture over the granola mixture and combine well. Spray a 10x10 or 9x13 pan with Pam. Press the granola mixture into the pan. 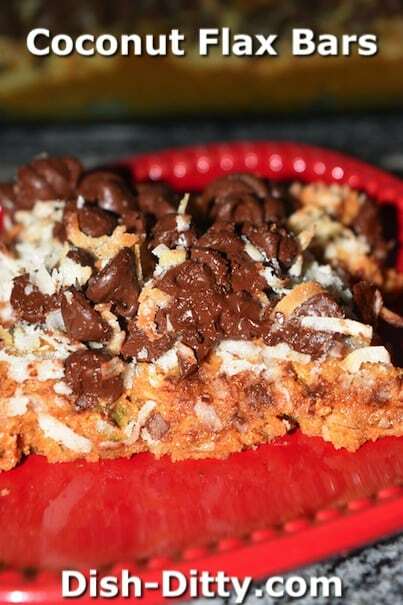 In a separate bowl, mix the coconut and chocolate chips together and then sprinkle with coconut and top of the graham cracker mixture. Bake at 350 degrees for 15 minutes. Reduce heat to 225 degrees and cook for another 15 minutes. No Replies to "Coconut Flax Bars Recipe"